Raj Enterprises is one of the leading Bird Net Dealers in Vijayawada. Raj Enterprises is into to the business of Bird Net Dealers for the past 3 Years. We are dealing in all types of Bird Nets for commercial and residential buildings. In the recent times the requirement for the Bird Nets are increasing. 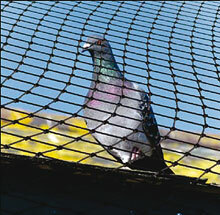 The Bird Nets provides security and convenience for buildings and structures. We are the Bird Net Dealers in Vijayawada to source the quality Bird Nets from various parts of the country. We deal in best quality Bird Nets in different types and colours.